In my earlier posts we discussed different ways of earning money online.Today we are going to discuss a different method to make money online.You can earn money by reading articles and rating them.It is an easy and effective way of earning money online. 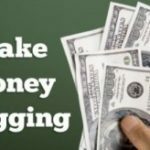 Last time I posted on how to make money from your blog.But this tutorial will help both bloggers and non bloggers to earn a good income online.The only requirement is you have to spend some time everyday to earn a good income. Like you all,I was also searching for How to make money online.Even I am spending time on online,I am failed to find a good income online.I joined with a lot of sites who are all paying for clicking ads.But the problem with these sites were there is no enough ads to click for me.It was the problem that I faced with adclicking sites. But last week I came across one site named readbud which will pay for reading and rating articles.This site has enough articles to read and rate.It will help you to earn a considerable money online. 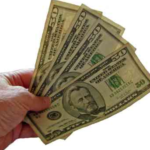 By the help of read buck you can earn an average of $1 – $2 per day.This is only depends on you.You can also earn a good income by referring you friends to this site.You can start earning by joining the site and selecting your interest. You have to earn a minimum of $50 to get payment.once you are reached your balance you can request for a withdrawal of your earning.The earning will be paid out by paypal.Don’t you have a paypal?You can get it free by visiting www.paypal.com. If you are ready to spend some time online ,this is the best way to earn a good income online.Try this and share your experience with the other users as comments. u get paid ah proof? nepal,You may have a bux site and you may have to promote it.But until you try with the site you can’t say it’s scam or not.I already said that I didn’t get any payment from readbud.But one of the person said that he got payment.and now he is not working with it since he don’t have time.Even I know there are a lot of scam sites and peoples wasting their time on it. hi ! abbu….. The Site Readbud has proven to be scam…. its true…They have been also marked as un healthy website by Google Adsense. Stop creating referals to those Fraudlent sites. take Care. Hey abdu, i tried this site and completed 50$ in 6 months as readbud is totally a scam because firstly first 30$ completes very fast as readbud is giving 2$ per day,but after it they are giving 5 articles per day,after 40$,they are giving 2 articles per day and after 45$,they are giving 1 article per day and when i reached 50$ they said your payment will come to you after 30 days.but 3 months left my payment is not come. believe me abdu,they are just totally a scam. yes,worldmos is nice & legit site.i have been paid by worldmos once.its nice opportunity to make money online. its administration fees,after registration you have to top up ur account with 5000rs. world mos really nice & legit plateform to make internet money.i have been recieved direct bank transffer money.it has 4000 branded product & you have to give your opinion.just 5 minutes work in a week.you complete your total investment in first month.i liked this system.i have been seen all the documents of worldmos. You said that “i have been recieved direct bank transffer money” and “you complete your total investment in first month” .I would like to know are you the owner of this site? .Its launched only in this month and how you get payment before a month passes ?. Can you tell me that idea? 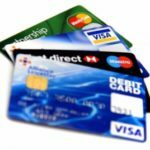 American based company is processing all their transactions in Indian rupeese !!!!!! when u joined someones you get paid,for example if you join i person with 1000registration fees,then you have to pay only 4000rs to company,1000rs is yours.as u know 5000rs is top up fees after registration.